Now that we’ve had time to wrap ours heads around Infiniti’s new naming scheme it’s time to take a look at the cars that will bear it. 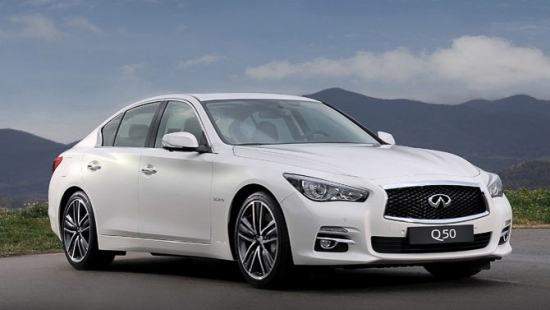 The Q50 is the replacement of the G37 sedan and Infiniti Canada was kind enough to leak photos of it ahead of the show here in Detroit, so you’ve probably already seen the new exterior. It’s not a significant break from the G37, they just pinched the grill and creased the hood. It’s still got a bulbous front that I never really thought fit in with the luxury sports sedan segment. That said, it’s still a welcome improvement in my opinion. 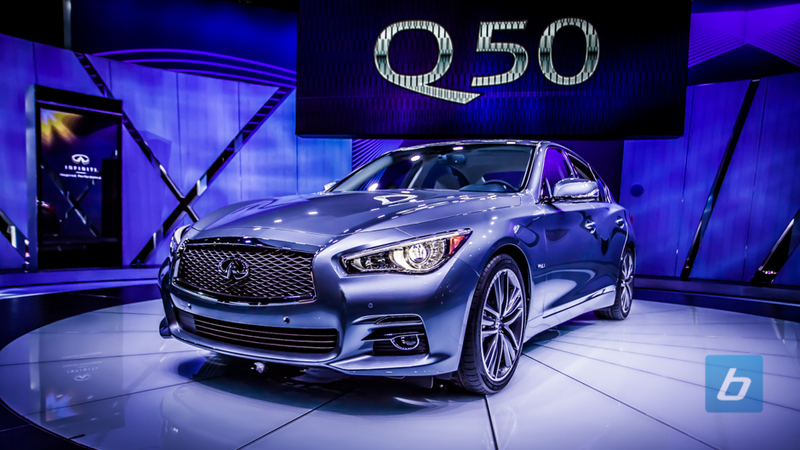 Update: Infinity Q50 MSRP: $36,450USD on launch, no details on Canadian MSRP.